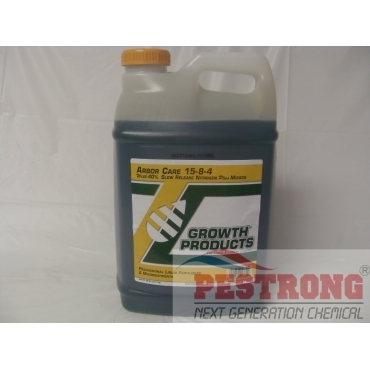 Where to Buy Arbor Care 15-8-4, Arbor Care 15-8-4 Liquid Fertilizer 40% SRN - 2.5 Gal - $74.95 for Sale with Fast Free Shipping! Arbor Care 15-8-4 Liquid Fertilizer 40% SRN - 2.5 Gal with micros like copper, iron, manganese, zinc is made from only the highest quality N-P-K sources and micros. Dimension Ultra 40WP Herbicide Dithiopyr -..
Parafine Horticultural Dormant Oil - Pt - 1..
Arbor Care provides a continuous steady source of slow release nitrogen from methylene diurea (MDU) along with soluble, non-chloride potassium. Arbor Care is a TRUE SOLUTION, ideal for foliar spray application and soil injection for trees and ornamentals. No special agitation is needed. Arbor Care is compatible with fungicides, herbicides and insecticides and can be mixed and sprayed in one application for turf, tree, ornamentals, crops & hydroponics. Arbor Care is ideal for soil injection with both deciduous and evergreen trees. I use this all the time, so I thought I might as well leave a review for it this time around! It's very easy to use and it works magnificently. It provides all the minerals needed to properly my lovely trees.